This picture is unusual in that it is on black card (it is not a postcard painting). The media are acrylics and the work is signed "Percy 2000." 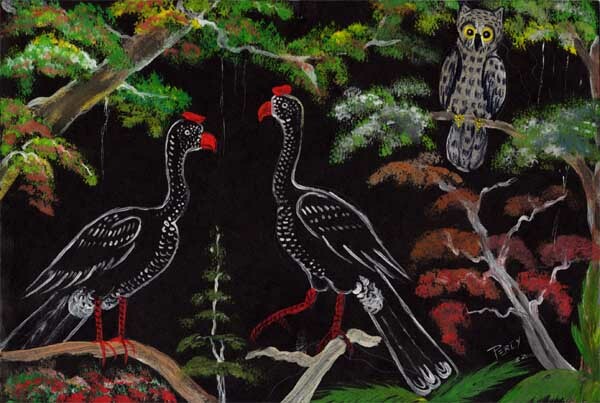 The birds in this painting are a pair of curassows to the left (possibly wattled curassow, see photo) and a great horned owl (possible short-eared owl) to the right.